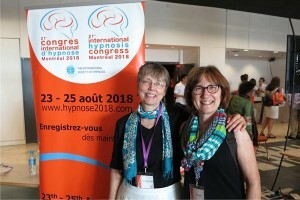 Delle Jacobs, former President of the Minnesota Society of Clinical Hypnosis (MSCH), and I traveled together to France for the worldwide congress of the International Society of Hypnosis (ISH) in Paris, France, August 27-29, 2015. 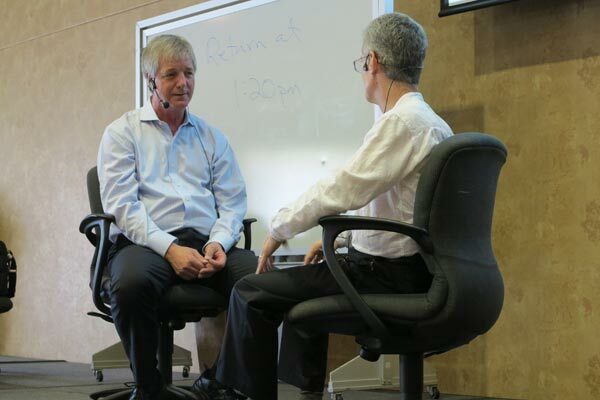 I appreciated the foundation I have received from my trainings in clinical hypnosis through MSCH, which prepared me well for this recent opportunity to learn some of the many ways in which hypnosis is used across the world. The more than 2300 attendees came from 45 countries for this year’s International Society of Hypnosis conference. Over 300 presenters came from 33 countries including Ukraine, Turkey, Iran, China and Brazil. Attendees were typically either licensed medical or mental health professionals, or students enrolled in programs leading toward professional degrees preparing them for competent practice in their fields. One Belgian doctor told me, however, that this was her first hypnosis conference. I thought it was quite unfortunate that she had not started with the basics, as one does through MSCH, such as learning how to use hypnosis ethically and how to manage challenges which can arise such as very intense emotions. Olivier Piedfort-Martin from France: Using ego states theory and hypnosis with imagination. The programs were offered in a wide variety of formats including plenary presentations for all attendees, large group presentations and dozens of smaller workshops. Some of these were focused on demonstrations of specific approaches and some offered chances to practice new skills. The latter is one of my favorite ways of learning more about how to utilize hypnosis in psychotherapy with a wide range of clinical problems. Some presentations focused on the latest research on the effectiveness of hypnosis, for example demonstrating that hypnosis can impact human genes that turn on or off processes such as manufacturing proteins. Some of our highly skilled and widely recognized local MSCH members had been accepted to give presentations including Daniel Kohen, MD. David Alter, PhD, and David Wark, PhD, were unfortunately unable teach as planned. 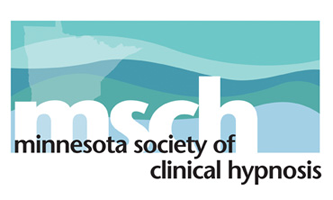 A number of other highly esteemed American teachers of clinical hypnosis gave presentations, including some of whom MSCH has had the pleasure of bringing to Minnesota such as George Glaser, Pamela Kaiser, Ernest Rossi, and Jeffrey Zeig. Delle knows many of the other American presenters and attendees through her own involvement with the American Society of Clinical Hypnosis (ASCH) for whom she is providing regional trainings. Some of us went out together for a very fun dinner our last night in Paris. If you are a medical or mental health professional I highly recommend that you adopt a goal of attending the next congress of the International Society of Hypnosis, which will be held in Montreal, Canada, in 2018. If you are a qualified professional and are not already trained in clinical hypnosis, I advise training with MSCH next June which would allow you to attend ISH. Hypnosis has added a depth of effectiveness to my work with clients and many rewarding, creative opportunities for my clients and me. Carol and Delle with the poster for the next ISH conference in Montreal, Canada.